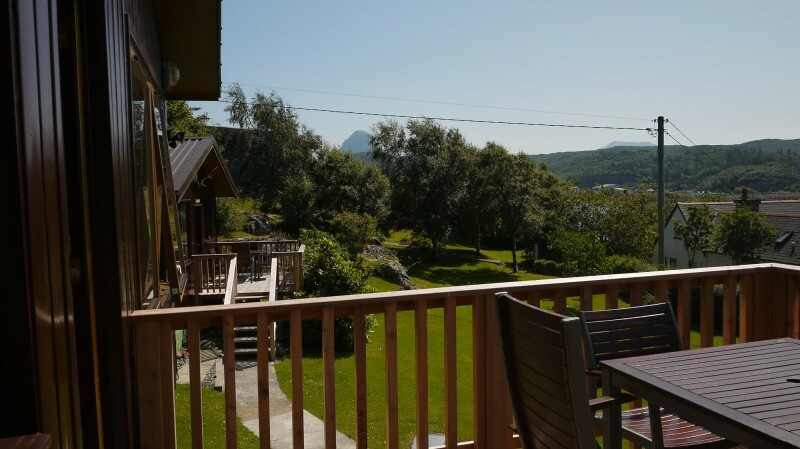 Our three chalets offer an ideal holiday destination, set within private grounds and yet close to the village of Lochinver for all local amenities. 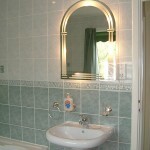 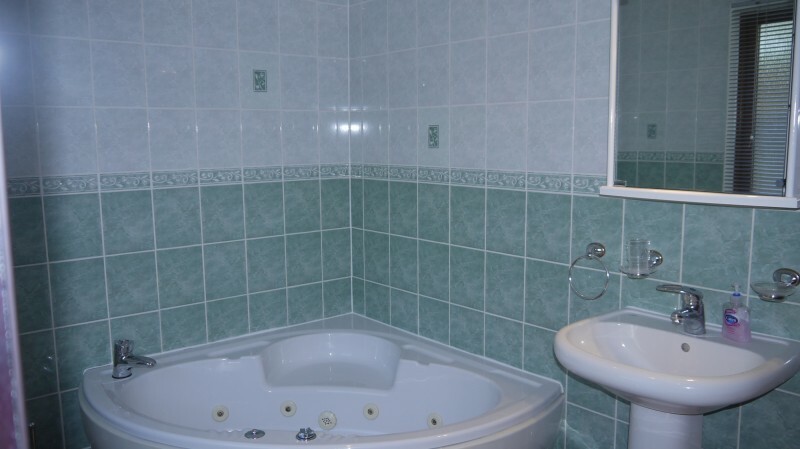 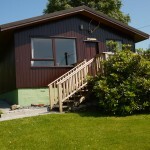 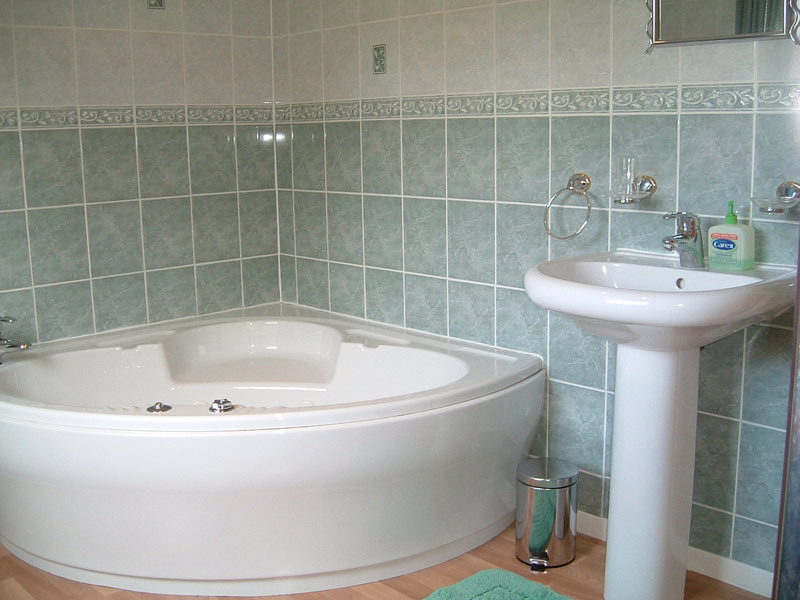 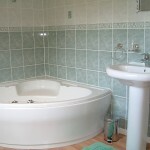 Strathan self-catering one bedroom chalet is an ideal property for a romantic holiday for two and has a king size double bedded room and a fully tiled bathroom with corner whirlpool bath, separate corner power shower, w.c., wash hand basin, electric shaver point and heated towel rail. 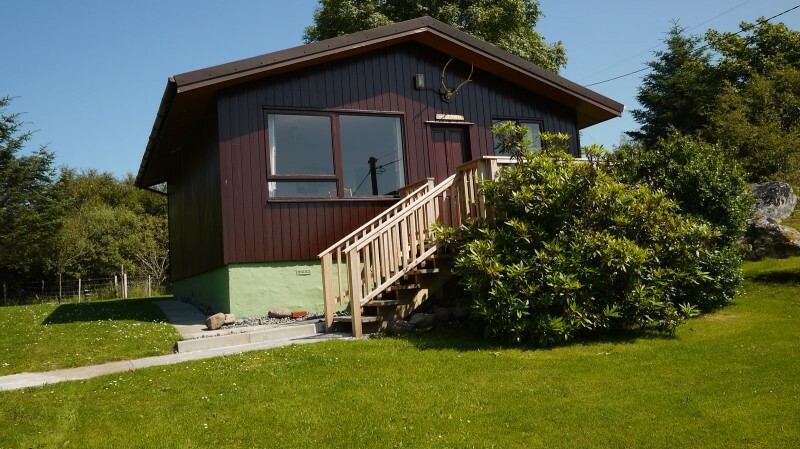 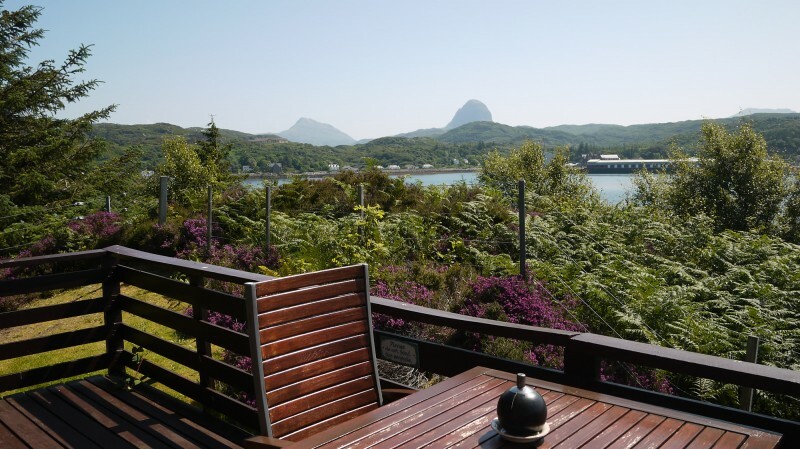 This single bedroom luxury cabin stands on a hill overlooking Lochinver Bay with the majestic mountains of Canisp, Suilven, Cul Mhor & Stac Pollaidh looming in the background. 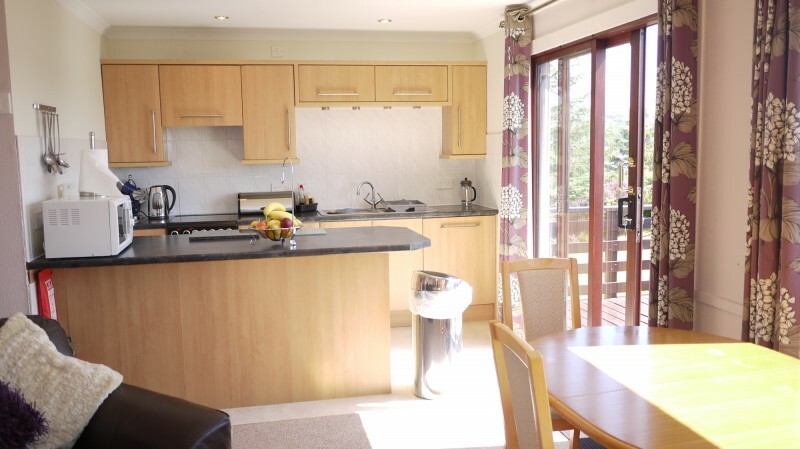 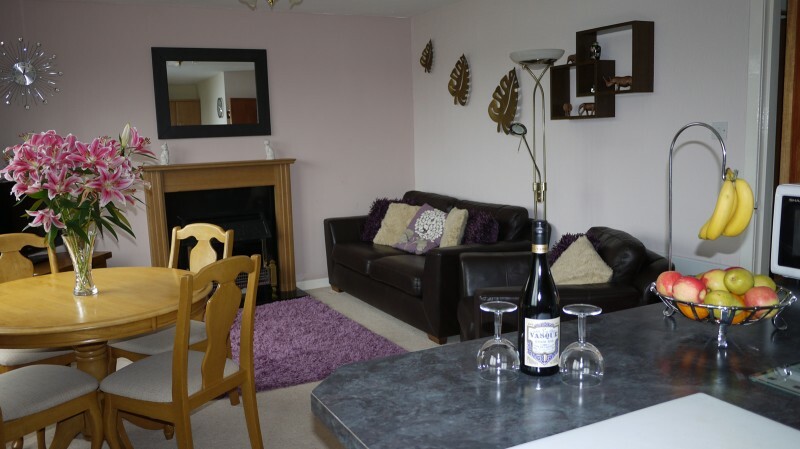 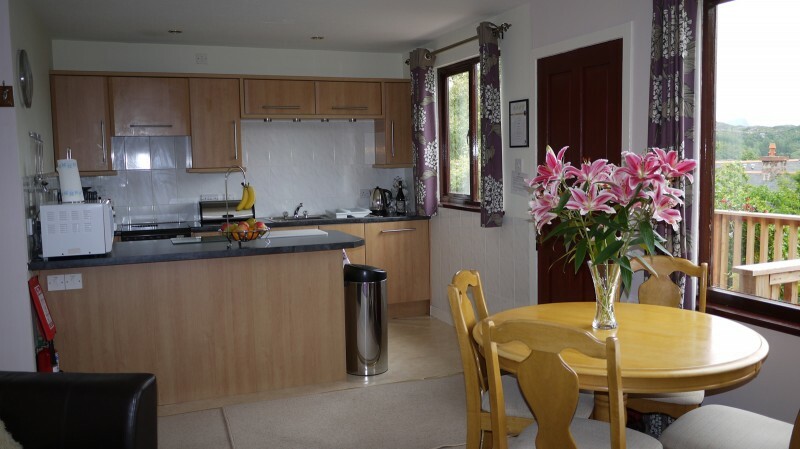 Assynt and Midtown, quality, 2 bedroom chalets are ideal for that holiday with family or friends, where you can simply relax and get away from it all. 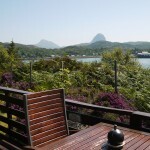 Both properties are west facing with stunning views across the bay of Lochinver, towards the mountains of Cul Mhor and Stac Pollaidh. 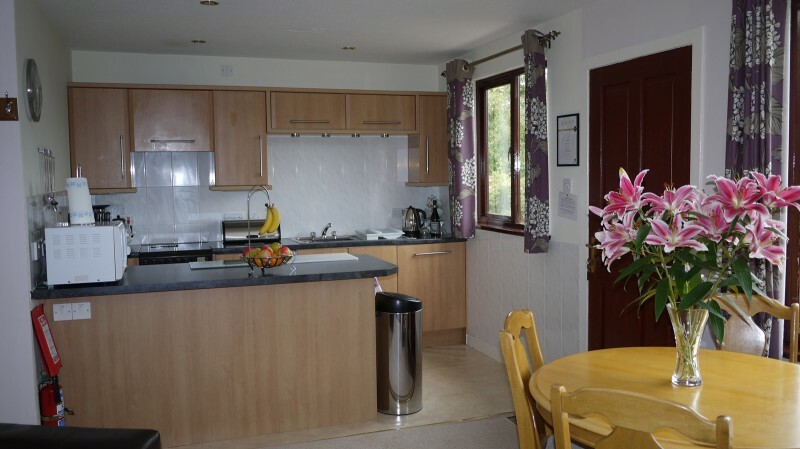 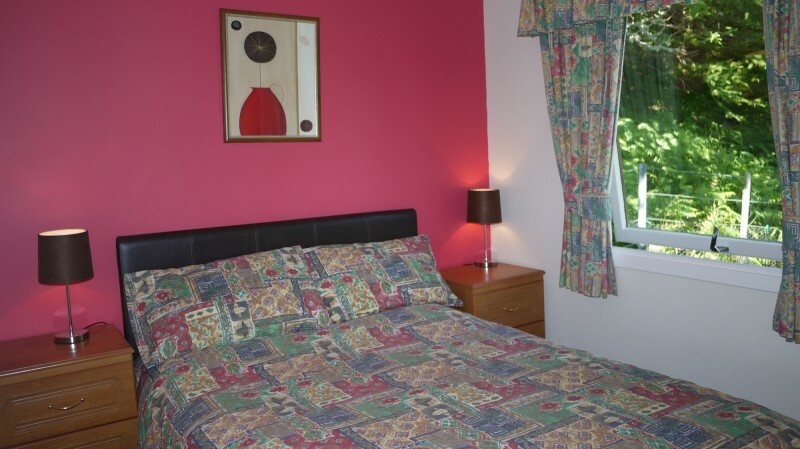 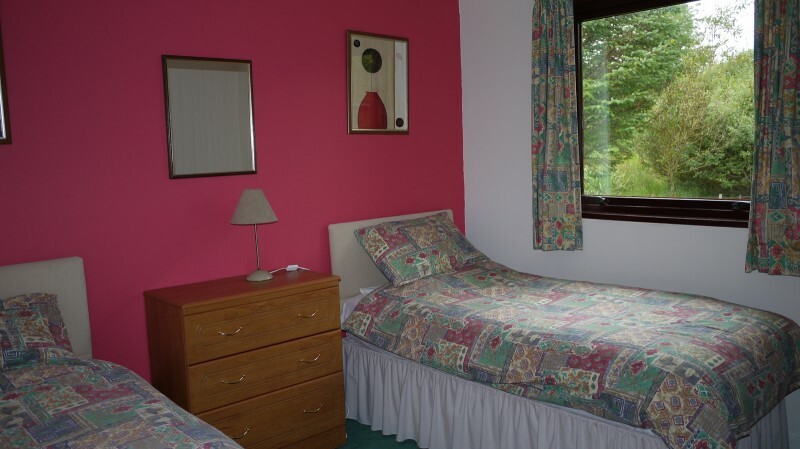 These chalets sleep up to 4 persons in 1 double and 1 twin bedded room and have a fully tiled shower-room with an instant heat shower, w.c., wash hand basin, electric shaver point and heated towel rail. 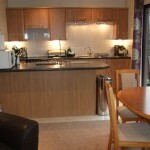 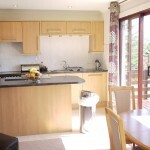 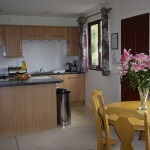 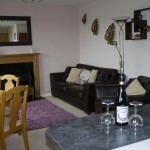 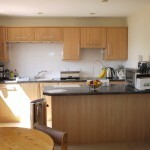 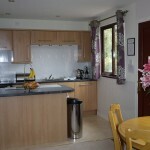 All three chalets feature an open plan living room/kitchen/dining area and have all the comforts of a ‘home from home’. 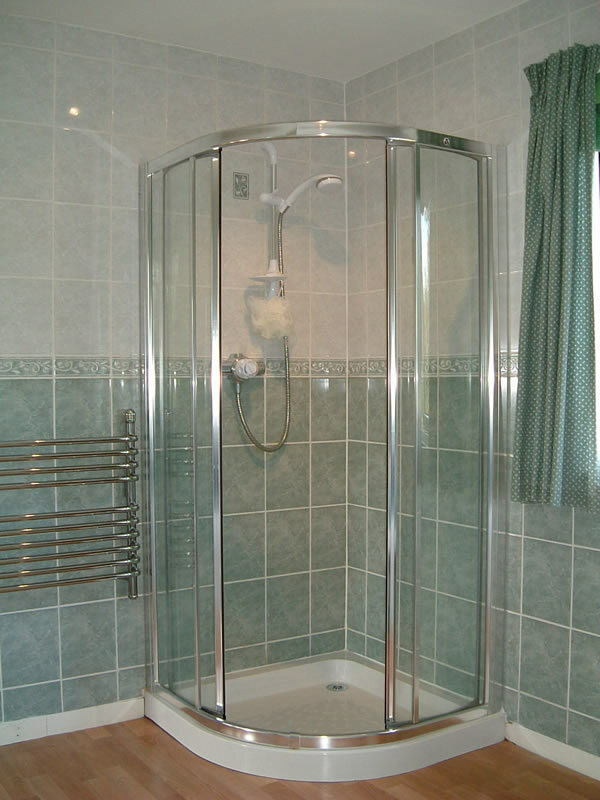 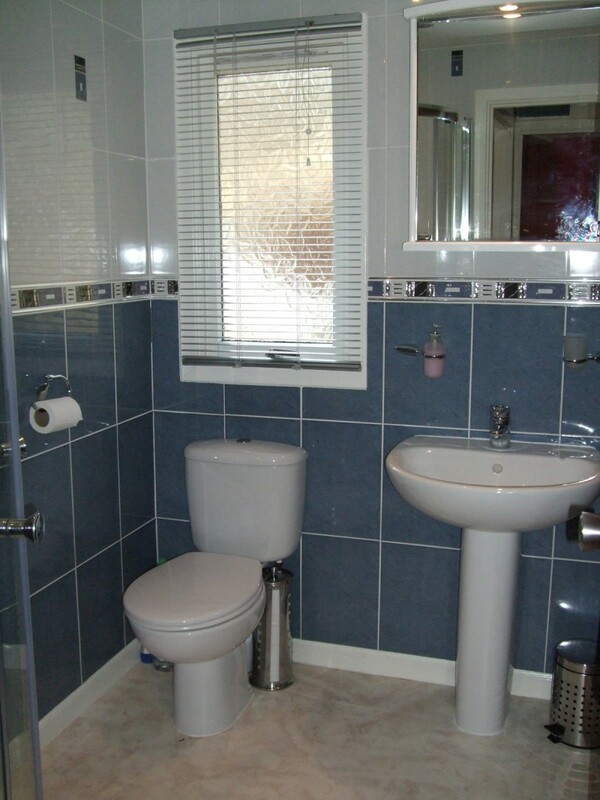 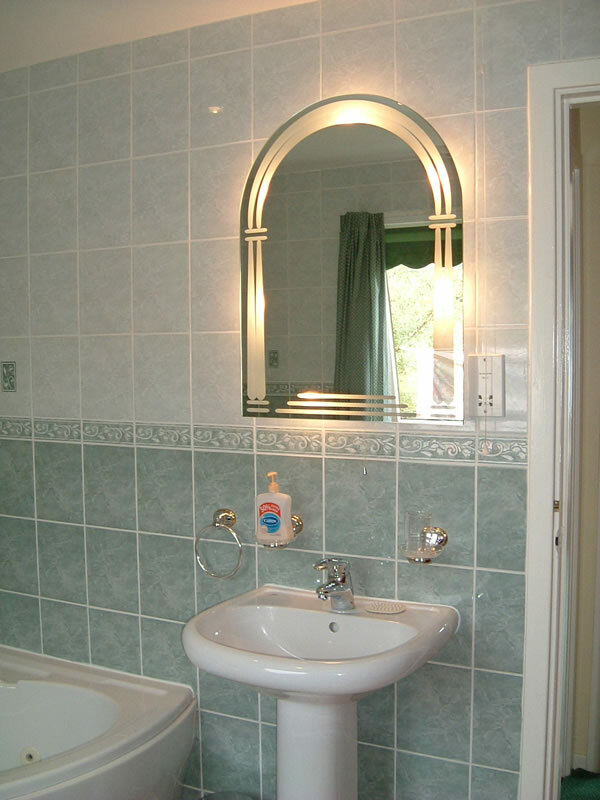 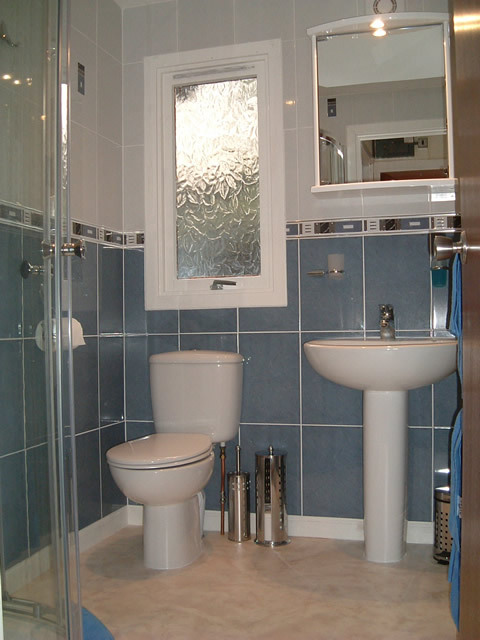 Well appointed, fully equipped with a full complement of modern fixtures and fittings. 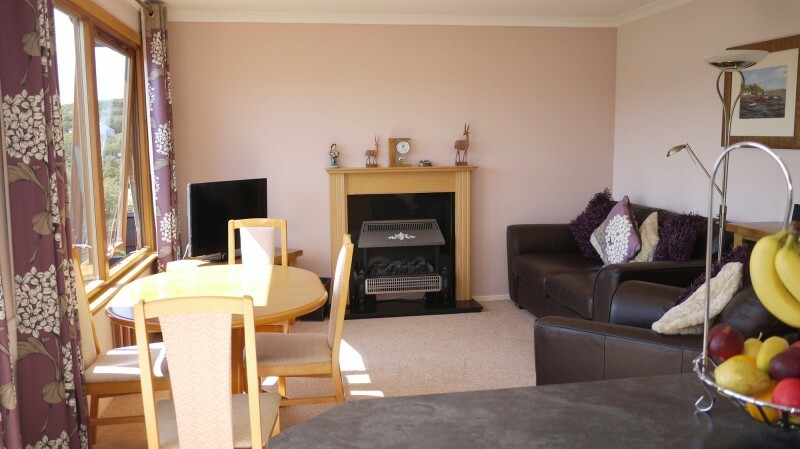 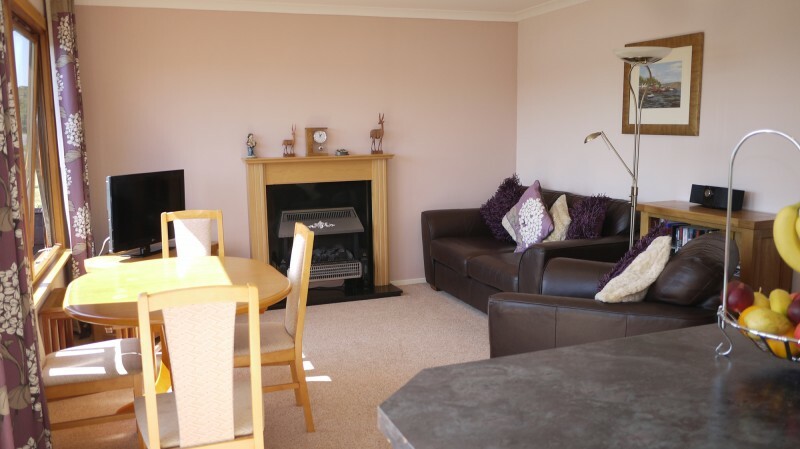 Comfortable leather sofas, dinning table and chairs, 32” flat screen colour television with Sky Freesat, dvd player, video recorder, I pod docking station and free wi-fi for enabled laptops. 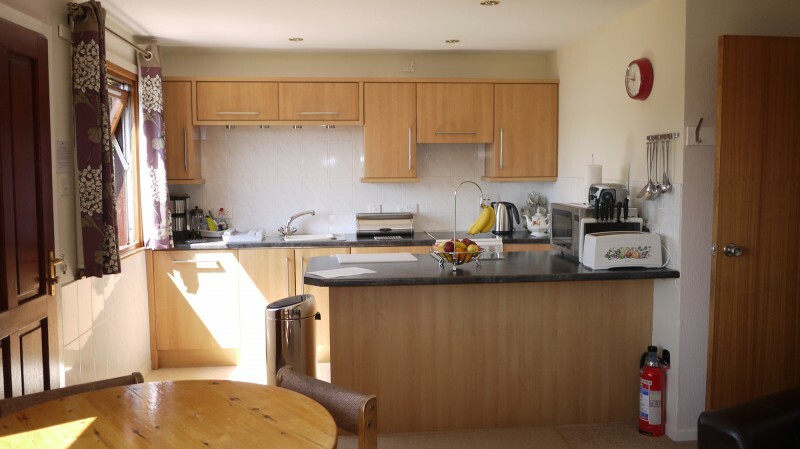 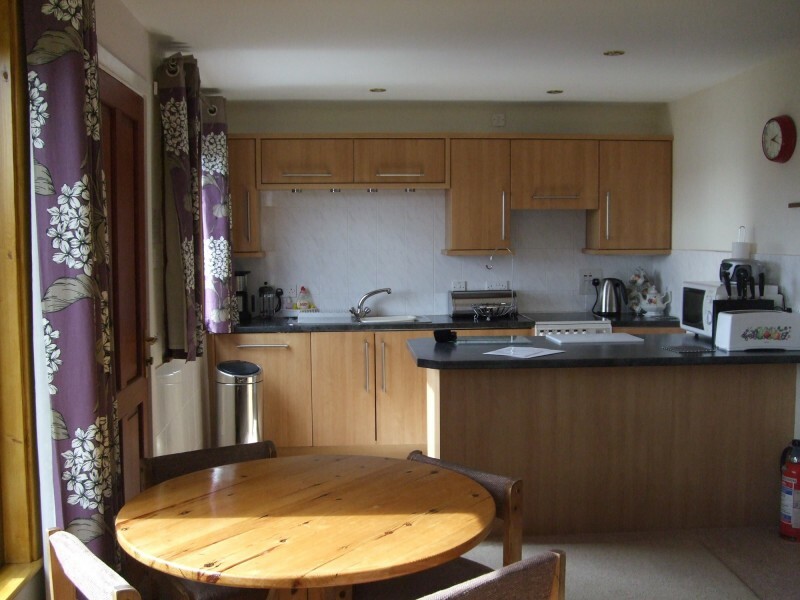 Kitchen is fully fitted and very well equipped with a full size dishwasher, ceramic hob cooker with a double oven and grill, microwave, refrigerator, freezer, washing machine/tumble dryer, coffee-maker, ample pans, crockery and cutlery, utensils and cleaning materials are all supplied. 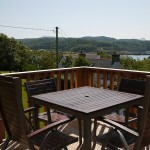 Each property has a private balcony with patio table and chairs to sit out on and admire the stunning scenery. 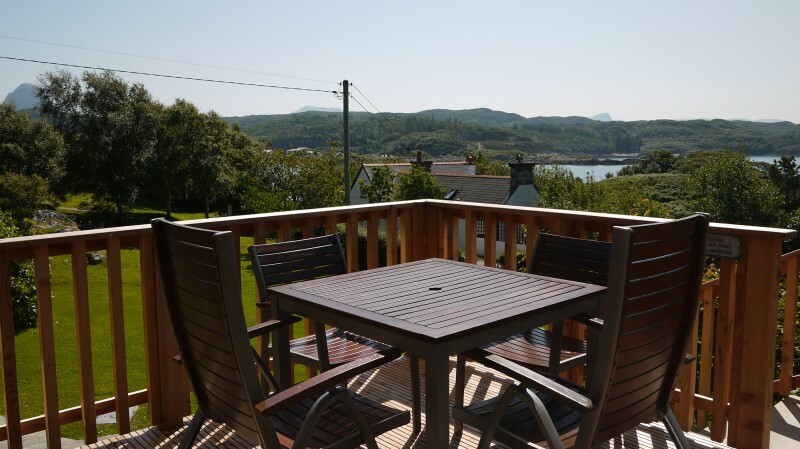 During the long days during the summer months, it is an ideal suntrap, where you can simply relax, taking in the Highland air and watch the fishing fleet returning with their catch. 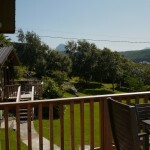 There is private parking at the foot of the chalets and is reached by a path which leads up from the car park. 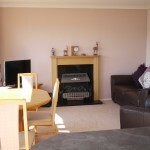 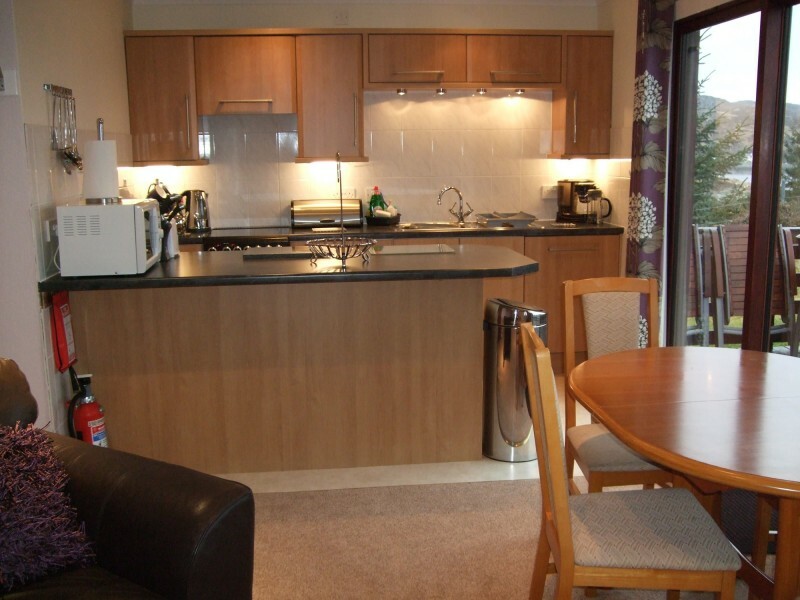 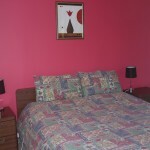 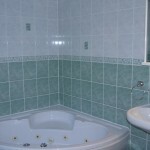 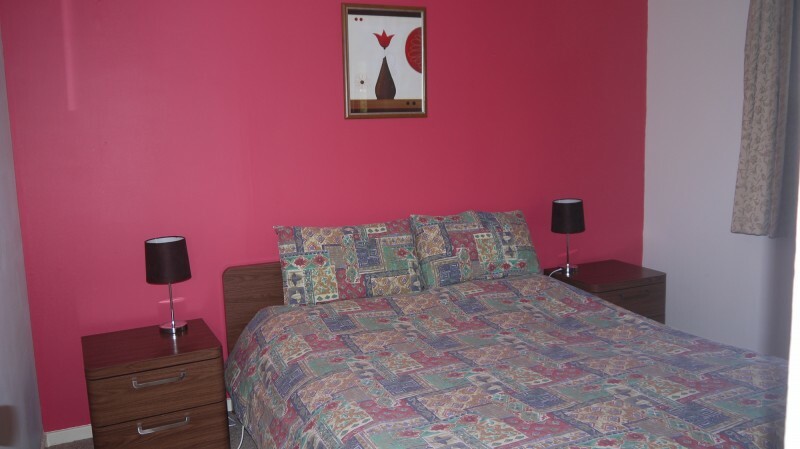 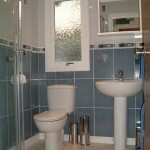 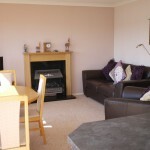 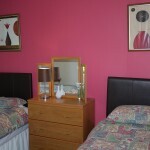 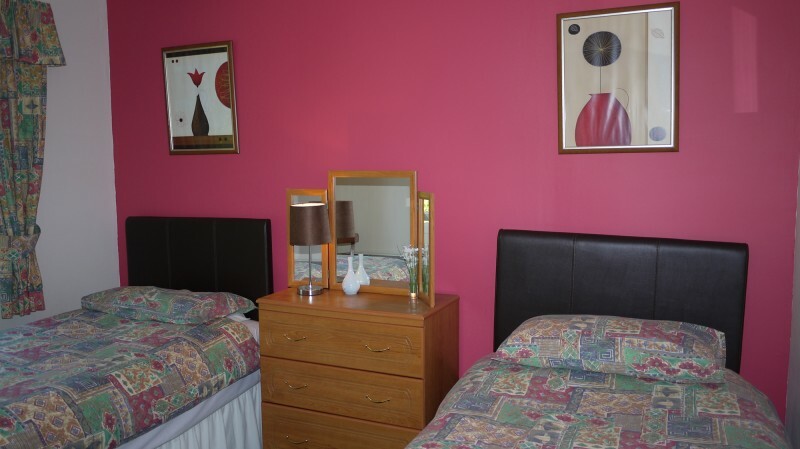 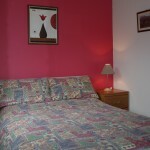 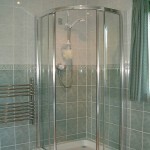 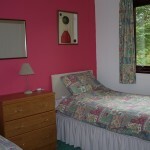 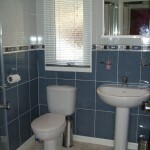 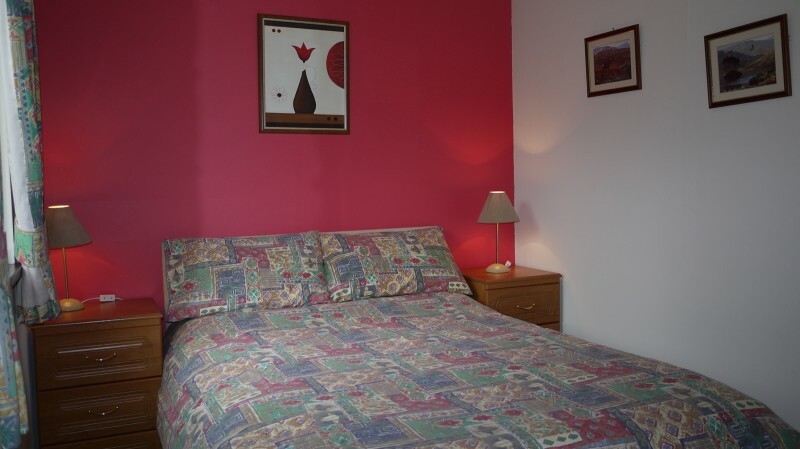 All properties are all electric with panel heaters in each room and the cost is inclusive. 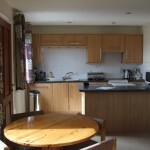 Thanks for a wonderful week in your cottage, It was lovely and clean and had everything that was needed for a most enjoyable stay, Mark particularly liked your Jacuzzi, which was great after a long walk. 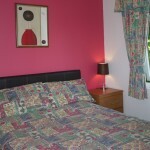 Hopefully we will be back to visit again in the future.